I went to a workshop recently about homeopathic cures. The moderator of the workshop had shared his insights behind what makes homeopathic cures 'work' - being consistently persistent in the pursuit of good health, as well as, no one way will work for everyone. I had an 'aha' moment. If we expand on these insights - applying them not just in the scope of 'homeopathic cures' - but to our lives on a grander scale - we may have to face some hard truths about our lack of being consistently persistent with goals we have been trying to obtain in our lives. As well as confronting feelings of discouragement and defeat when what worked for one of our friends (think Atkins diet) didn't work for us! How do we make lasting changes in our lives (no matter the form of change we are trying to accomplish)? I believe the first step is to honestly access where you are - AT. THIS. VERY. MOMENT. Are you sitting with 15 extra pounds, cleaning out your closet, and swearing to yourself that you will lose weight and fit into the 10 pieces of clothing that you've strategically placed in the back of the closet? Have you decided to finally get rid of the clutter that has been accumulating in your attic or basement? Have you vowed to never let another person speak to you in a demeaning manner? Access where you are. Resolve to change. Be honest about what got you to this point. Weight/Clutter/Relationships without boundaries (whatever it is that you want to change) DID. NOT. HAPPEN. OVERNIGHT! Therefore when we are firmly grounded in reality, and honestly audit ourselves, we know that the 'fix' is not going to happen overnight either. There is not a magic pill, no 24-hour cure, no Fairy Godmother that will wave a magic wand and make everything alright. WE need to make the decision to change and know that we will have to be consistent and persistent with the steps that will lead us there. It is a sad commentary on our society that we have been inundated with the thoughts that we can take a pill and no longer be sad, take another pill and be thin. There are no 'easy' fixes. We have control over actions & reactions. We have control over what we eat. We control whether we exercise or smoke, drink, or use drugs. We control how we let other people treat us! ALL of this is in our control! 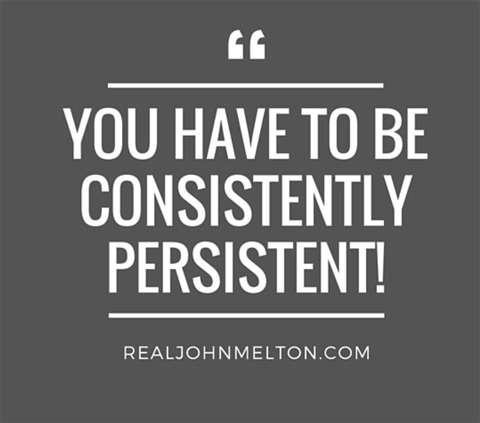 Once we make the decision to change we need to be consistent and persistent with the steps that will get us to the future version of ourselves that we envision. Let me remind you that there are many paths that can lead to the same goal. 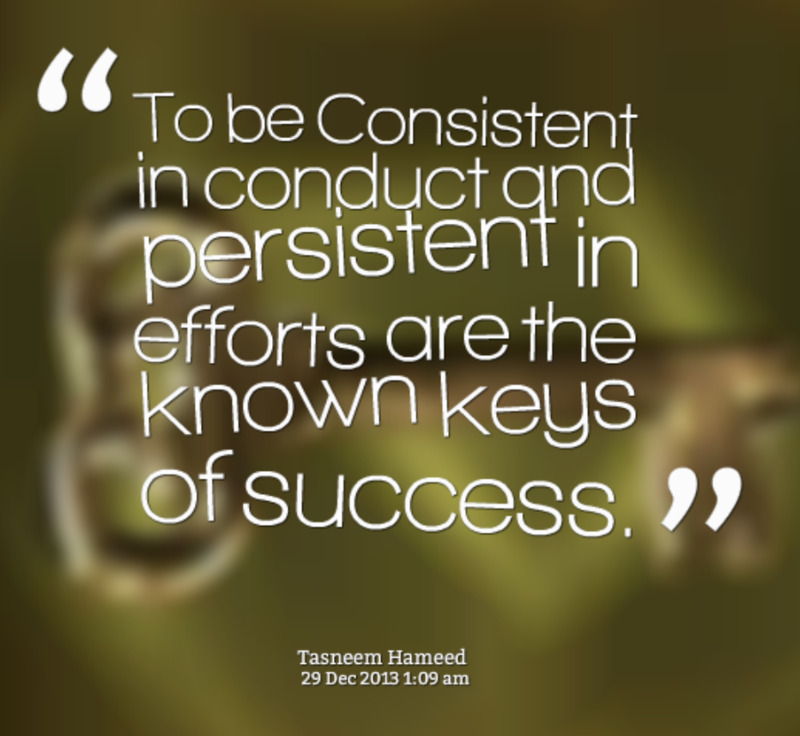 Find what works for you and pursue it consistently and persistently. You deserve it. Truly you do. You deserve to become the best version of yourself!